Monica Witt: Who the woman at the centre of the spying case? 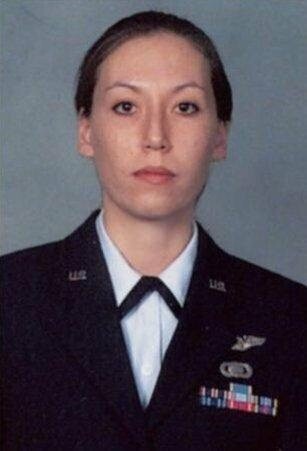 According a curriculum vitaeposted on jobs website Indeed, Ms Witt joined the Air Force in December 1997. Stationed at Offutt Air Force Base, she worked as a Persian-Farsi language specialist. According to her CV, she holds a Bachelors degree, from the University of Maryland, a Masters from George Washington University, and a qualification in Persian-Farsi from the Defense Language Institute. Whilst at George Washington University, she published articles on Tajik-Iranian relations andsubsidy reform in Iran . She claims to have lived and worked within countries including Iraq, Qatar, Jordan, Turkey, the UAE., Tajikistan, and Iran. In an undated missing persons declaration the FBI says Witt worked as an English teacher in either Afghanistan or Tajikistan and had out of contact since 2013. Ms Witt allegedly had an “ideological” turn and defected to Iran in August 2013. Returning to the country that month, she was provided with housing and computer equipment went on to disclose highly-classified information to Iranian officials. The information included details of her former colleagues within the US intelligence community. In one article , published by state-run Press TV, Ms Witt attacked “a prevailing culture of tolerance for sexual harassment” within the US armed forces.